Ole Gunnar Solskjaer dropped points for the first time as manager of Manchester United against Burnley during their recent 2-2 draw at Old Trafford. Regardless, he’ll be looking to keep his unbeaten streak intact when the Red Devils travel to Leicester City. The Foxes have shown themselves to be a resilient team when they held top-of-the-table Liverpool to a 1-1 draw in their latest encounter, and will certainly be looking to notch a win at home. In terms of injury, Solskjaer will welcome Anthony Martial back into his first-team, after the Frenchman sustained a minor knock. Fresh from his long-term contract extension, he’ll certainly be looking to make an impact. Similarly, Paul Pogba will also be in action despite limping late during the Burnley game. However, Marcos Rojo will remain the sole long-term absentee for the fixture. The successful positioning of Pogba in the no.10 spot and Lingard and Martial as flank-men to complement the striker role of Marcus Rashford may be used yet again. However, it will be interesting to see if the Norwegian continues experimenting Lingard as the false nine. 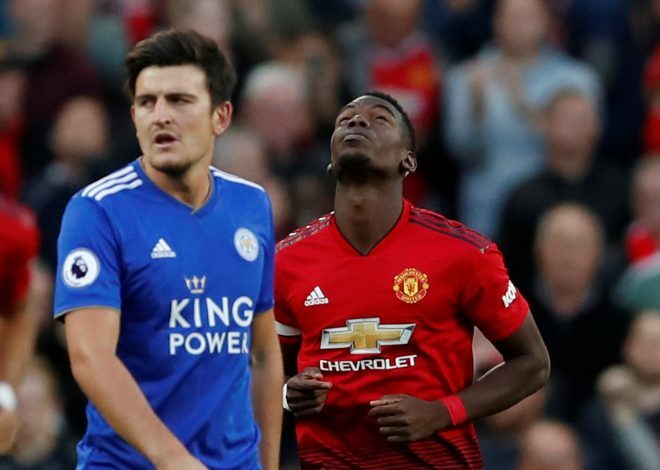 The Foxes only have to worry about the injury of Daniel Amartey, and will most probably try to field a squad as similar and dynamic as the one against Liverpool. Claude Puel’s pressure to perform will be eased a bit after the Anfield encounter, but the Foxes haven’t had the best of form elsewhere. By putting up a strong showing, they can place themselves as firm contenders for the no.7 spot in the table – the only realistic finish the lower teams can hope to achieve given the eclectic styles of the top 6.